With scenes of red desert cliffs, ravines, and mountains, all inlaid with rolling fairways, island greens, and lurking hazards, St. George is Utah's answer to Scottsdale, Arizona, with golfing all year long. Around St. George, Utah, golf courses have a habit of just popping up out of the desert landscape, like a blooming flower after the rain. To prove the point, the city itself owns no less than four courses! 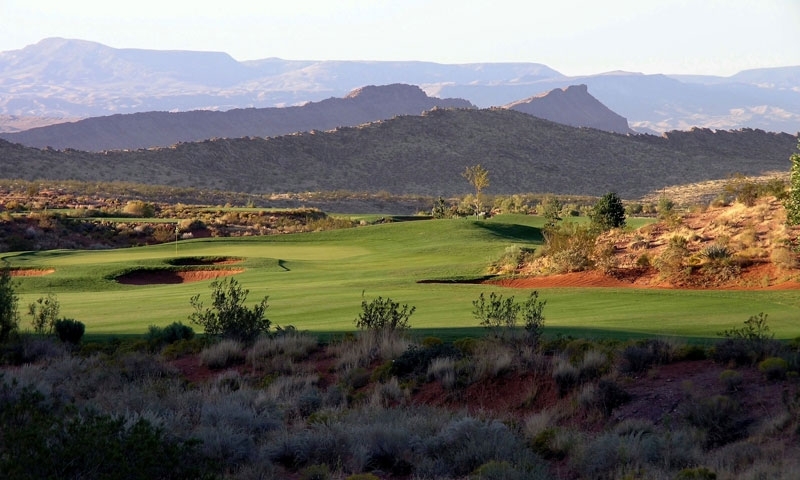 Fortunately, these St. George golf courses aren't your average bunch. There are forgiving courses for beginners, challenging courses for the pros, sometimes all within the same course.